We’ve gone ultra classy with our sand table and have made it a dirt box. 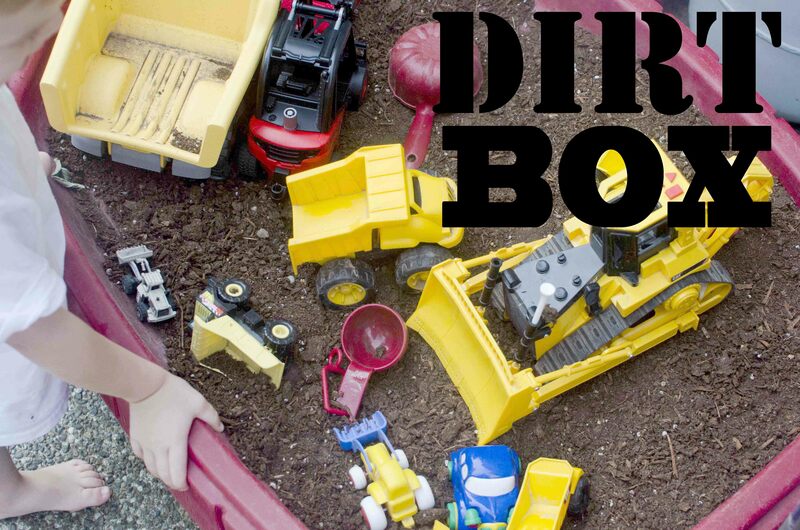 What is a dirt box, you ask? 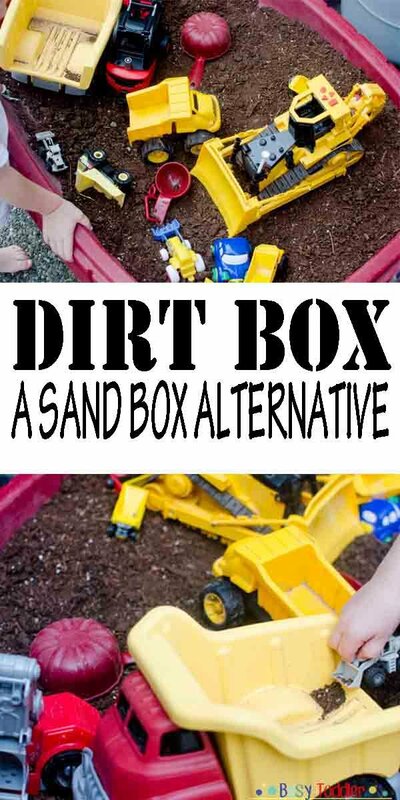 A dirt box is the most awesome alternative to a sand table and it has been so successful for us. 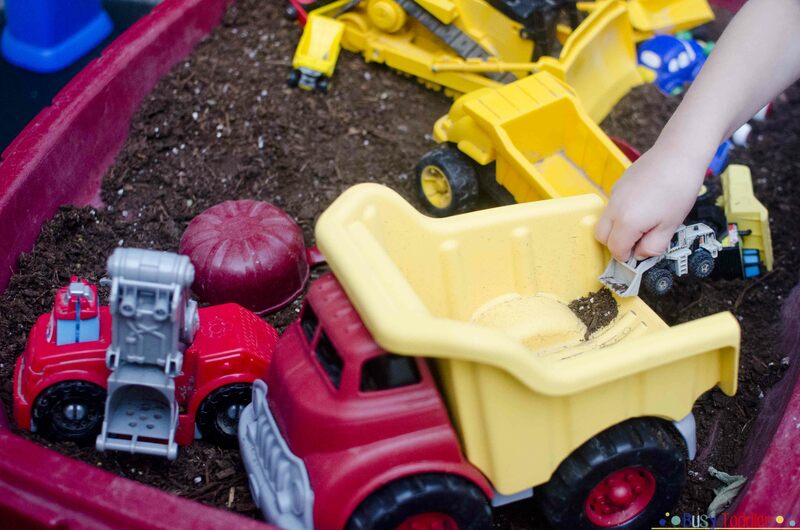 After months of sandy fun, Sam and his friends had eventually spilled out all the sand in his sand table (we have the Step2 Sandbox Table and LOVE it, especially because it has a lid). The kids partied hard with the sand and eventually it was it was empty. We played with it for a while as a make shift water table, but eventually turned it into its greatest purpose: a dirt table. The dirt is awesome and has actually been so much better for Sam than the sand. It doesn’t get in his eyes the way the sand did and he doesn’t dump it over his head like he always did with the sand. Big sand-head-dumper that child is. Oh and none of the dirt has been tasted (Sam was a convicted sand taster). Or rather, the dirt isn’t tasted with the frequency that the sand was tasted. He loves his own personal construction site and this bit of Sam Land. It’s good to own land, right Sam? All the construction equipment has ended up in the table and it’s been a hit with all the neighbor kids, ages 2 – 8, so I’d say we’ve got some serious longevity on this project. We’ve been rocking the same half bag of dirt for 2 months now so that’s a pretty solid return of investment right there (I’m so cheap). 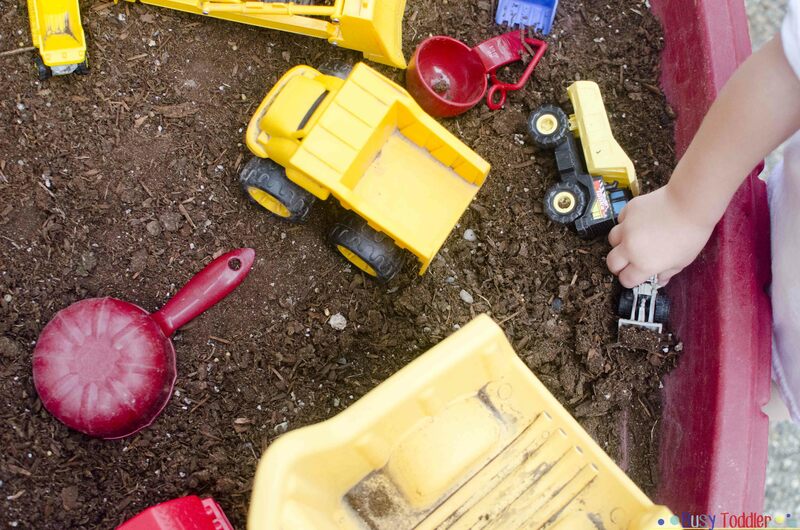 If you don’t have a sandbox, an under the bed tub full of dirt would be the same effect and just as awesome. Plus, those things have a lid too so you can keep it safe from the rain and outside animal friends. 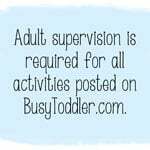 We love animals, just not in our sand box or dirt box. I don’t see us switching back to sand anytime soon. Dirt is the new cool.